HomeBlogColor MeasurementWhat Is Inter-Instrument Agreement? The coordination and communication of a sample or product color specification can be tedious when multiple plants or suppliers are involved. This is further escalated when different color measuring instrument models are used across these locations. This can potentially result in costly rework, waste, and rejects, hence, the use of similar color measuring instrument with good Inter-Instrument Agreement (IIA) is recommended to ensure color consistency. IIA, expressed in Delta E (ΔE*ab), is a measure of how close two or more colors measuring instruments of similar model will read the same color. The IIA value is obtained firstly by measuring the 12 BCRA color tiles set plus a black and white tile. Next, it calculates and average the color difference by comparing the values against the values measured using a “master” instrument. The smaller the IIA value, the closer the measurement results will be. Besides having color measuring instruments with good IIA, establishing a standardization in measurement procedures and conditions is equally important in ensuring color consistency. The following points should be defined, documented and shared internally or throughout the supply chain to make color measurement meaningful. 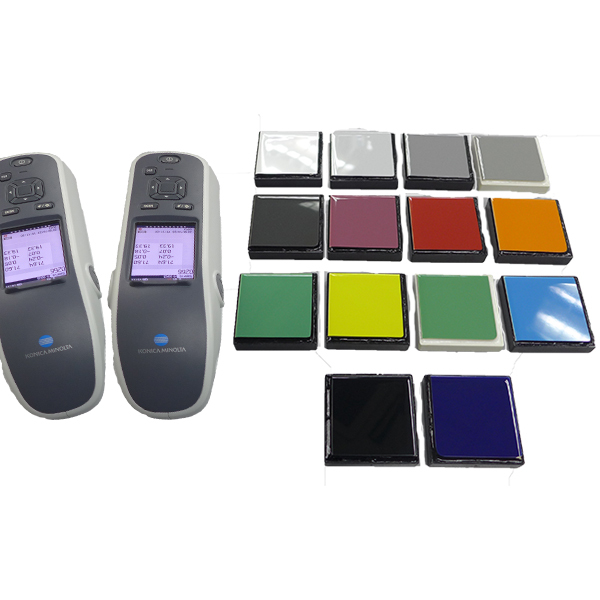 For a complimentary consultation on how to select the right color measurement instruments and how to develop and implement an effective color process specific to your application and operational needs, click here or contact us at (+65) 6563 5533.